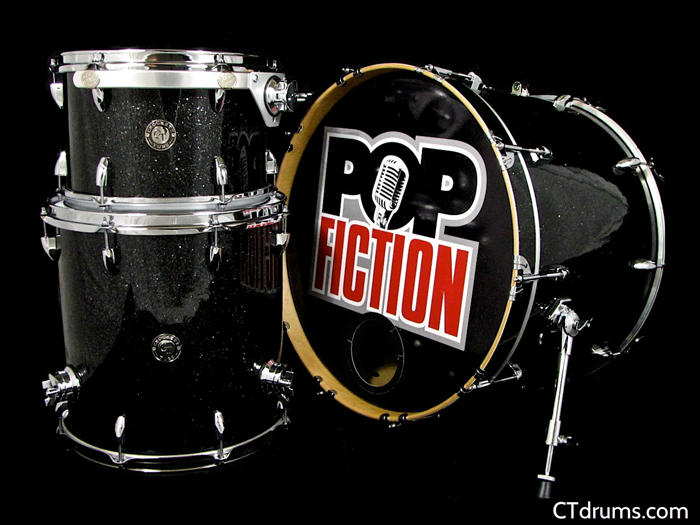 A classy kit for our friend John Messier of POP FICTION. This is actually John’s third kit from us. 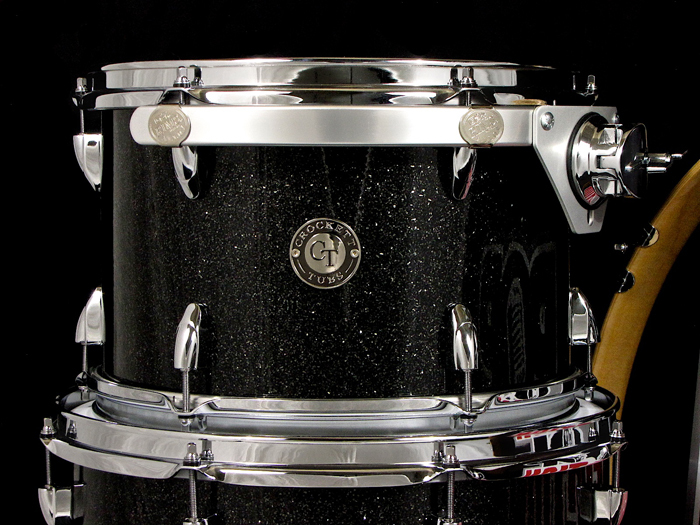 It is a black glass glitter Standard Series maple kit with all chrome hardware. There’s quite a few custom touches on these drums, including an internal bass drum Kelly Shu mount with an XLR jack mounted to the top of the kick drum, Gauger aluminum tom suspension mount, and new DW Truehoops on the toms. Sizes include 8.5×13″ rack tom, 15×15″ floor tom, and a 16×22″ kick. Other hardware includes tail light lugs, round heavy duty brackets, pro spurs, and vintage butterfly claws. Posted on July 5, 2012, in Kits, Standard Series and tagged 6ply, 8ply, black glass glitter, chrome hardware, crockett tubs, ct drums, custom drum, maple, standard series, tail light lugs, wrap. Bookmark the permalink. Leave a comment.